Actually, I haven’t been dead, just buried. But after a long stretch when life was on top of me, I am again motivated to try my hand at social media. I’ve recently had a book signing at Sailing Associates, in Georgetown, MD, featuring Tiger Heart, the second Chesapeake Bay Mystery. 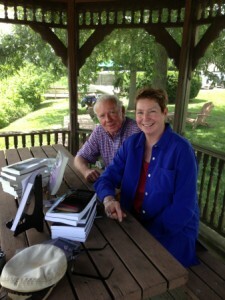 The next signing scheduled is for the Chestertown Book Festival, Chestertown, MD, on Saturday, Sept. 21. Thank you! I’ve been having some health issues myself, which puts me even more behindhand than usual, although I have tried to keep writing. Praise from a fellow writer is a special treasure!